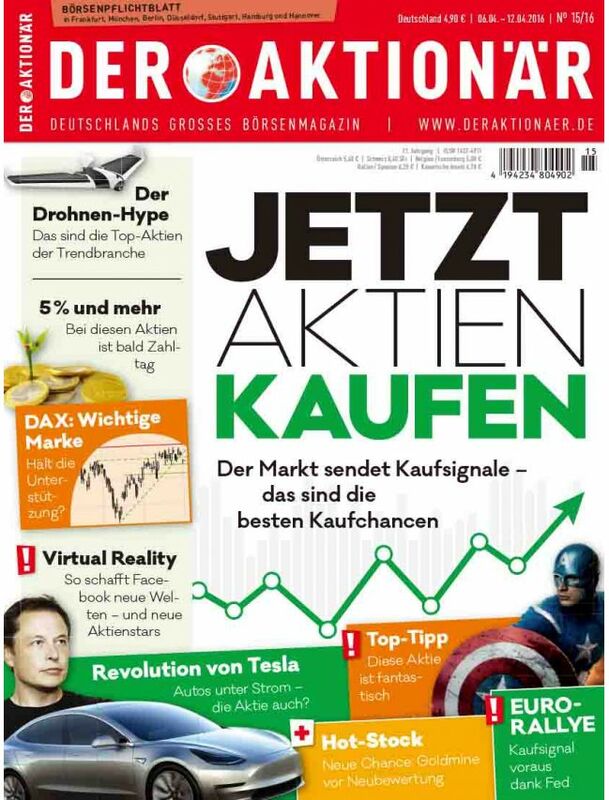 DER AKTIONÄR is the weekly magazine for the markets and for personal finance in Germany, Austria and Switzerland. The magazine is one of the most important business publications in Germany. Every week the writers and editors analyze stocks, funds, bonds, ETFs, certificates, warrants, commodities and precious metals. They give specific recommendations for beginners and individual investors doing their investing of their own.